They have existed for several millennia. Intelligent, watchful, and generally calm dogs. 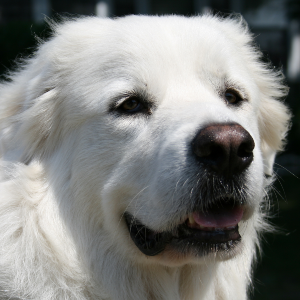 Great Pyrenees seem to enjoy dog sports such as agility, tracking and competitive obedience as well as hiking, backpacking and carting. 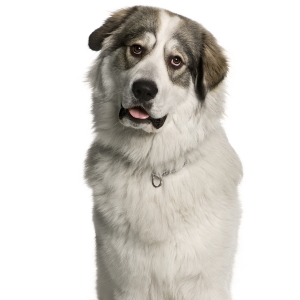 Can be standoffish and wary with strangers and has a tendency to bark. 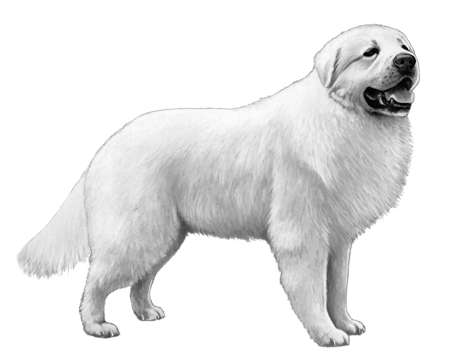 Rumor has it this breed is so old they are literally fossilized. Certainly many agree that they have existed for several millennia, possibly even dating as far back as 1800 BC. 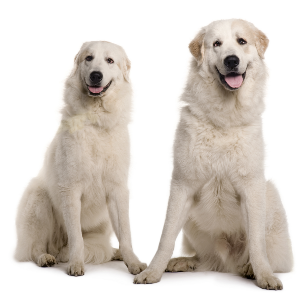 Their assumed direct ancestors include the Kuvasz, the Maremma Sheepdog and the Anatolian Shepherd. 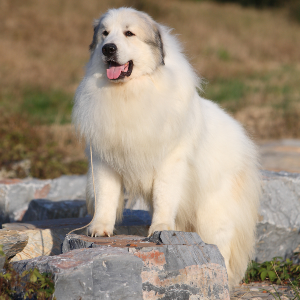 Eventually the breed was brought to Europe, and the Pyrenees mountains, where they were renowned as great herders. During the 1600s, Louis XIV declared these gentle and affectionate souls to be the Royal Dog of France. They were first brought to America in the early 19th century but numbers fell significantly after that. B. Senac-Lagrange and M. Dretzen are credited with eventually helping increase their population again. Which earns them a mountain of gratitude from us.